IIM Kashipur has established three Centres of Excellence that are envisaged to serve as the intersection of scholarship, education, training, research and consultancies putting breakthrough interdisciplinary approach at the service of students as well as government and private entities. The aim of creating these is to encourage and facilitate the faculty from different areas to work together by associating them in projects and programmes on regular basis, by cutting across area or discipline barriers. These centres utilise innovative and critical thinking, creativity and research capabilities of the expert teams leading them. These centres try to leverage the knowledge resources available at the institute to put cutting-edge research into practice, driving innovation, entrepreneurialism and excellence in assigned areas. 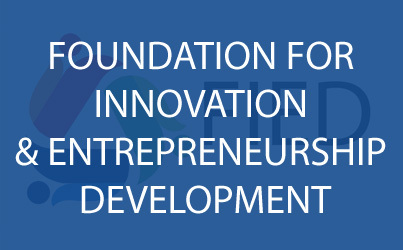 Center of Excellence on Competitiveness(CoEC)is focused on the study of competitiveness of businesses with emphasis on the theory and practice of competition, competition regulation and innovation for sustained economic development in an increasingly integrated world. Center of Excellence in Public Policy and Government(CoEPPG) serves as a bridge between policymakers, government agencies, civil society, industry and academia by supporting scholarly research, public policy and administration training programs, and other capacity building activities at the intersection of government and society addressing some of the most important public policy and governance issues. Centre of Excellence on Sustainable Development(CoESD)is setup with an explicit mandate to seek ways in which the institute can contribute towards undertaking research and other activities to inform policy and practice related to Sustainable Livelihoods and Development, particularly in Uttarakhand. 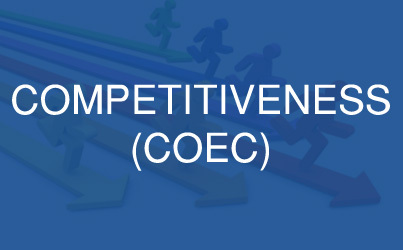 (CoEC)is focused on the study of competitiveness of businesses with emphasis on the theory and practice of competition, competition regulation and innovation for sustained economic development in an increasingly integrated world. 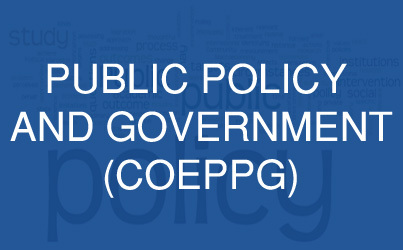 (CoEPPG) serves as a bridge between policymakers, government agencies, civil society, industry and academia by supporting scholarly research, public policy and administration training programs, and other capacity building activities at the intersection of government and society addressing some of the most important public policy and governance issues. (CoESD)is setup with an explicit mandate to seek ways in which the institute can contribute towards undertaking research and other activities to inform policy and practice related to Sustainable Livelihoods and Development, particularly in Uttarakhand.